Mentalist or Magican? What is the difference? It is the difference between apples and wax fruit! 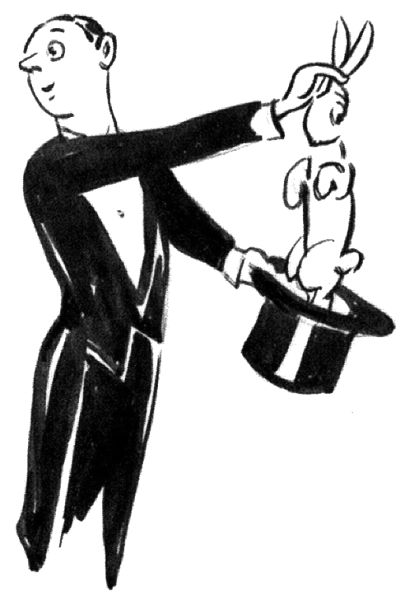 I am often asked, “Are you a mentalist, or just a magician?” While the phrase “just a magician” is appropriate in any context, comparing a magician to a mentalist, especially a mentalist such as myself, is a poor analogy. It is, as the title implies, the difference between a delicious ripe apple, and a piece of cheap wax fruit. One is genuine and enhances the body and mind. The other is fake, and while attractive, just takes up space and gets squishy in the sun. A mentalist is skilled in the art of mentalism, which takes years of discipline to focus the mind to such a vibration that it can communicate with other minds, and tune into the elusive waves of the past, present, and future that are in the air. A magician is skilled in buying nicknacks from a magic shop. That, and annoying rabbits, misusing hats, and doing unspeakable things to doves. Not that magicians don’t have their place. They can be an amusing diversion, like a shiny object to a chimp, or an iPad to nearly everyone. I have friends who are magicians. They make pleasant company, as long as you speak slowly, use very common words, and refrain from using common words over two syllables. In fact, the word “syllable” makes most magician’s eyes glaze over. A mentalist, however, is skilled practitioner in a craft that demonstrates the power of the human mind, and does so in an entertaining manner. Granted, there charlatans who claim to be true mentalists, but who are merely magicians pretending to have highly developed mental powers, who are deceiving their audiences with false presentations of mentalism. I am no such charlatan. I have a long and storied carrier as a mentalist, I can assure you, in asserting such a claim, I am either telling the truth, lying or insane. And I assure you I am not lying.